The watch industry is a well-oiled novelty-making machine. Every year it produces a sea of new releases that quickly turns the tide of attention from the old towards the latest and greatest in the world of watchmaking. Occasionally, though, it’s nice to stop and look back on the watches that we might have missed. 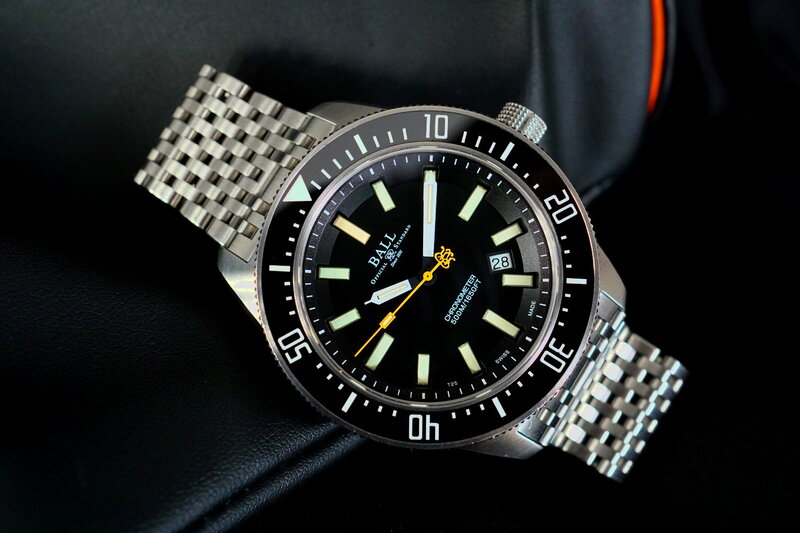 Watches like this one: the Ball Engineer Master II Skindiver II. With a brand history that dates back to the American railroad in 1891, and more than a couple of technically nifty details, I quickly jumped at the chance to try one out in the metal. Released in 2015, the design of the Skindiver II is inspired by a 1962 version of the Ball Skindiver, retaining the classic look of the Skindiver case, and upsizing it to 43mm wide and 14mm thick. With the larger case comes an improved water resistance of 500 metres, as well as a helium escape valve, a shock resistance of 5000Gs, and an antimagnetic rating of 4800 A/m. However, the shining star is its multidimensional black dial and the 15 double-sized micro gas tubes that form the hour markers and glowing elements of the hands. Unlike a coating of lume, these gas-filled tubes require no external charging from a light source, and will intensely glow over their lifespan of 25 years. The black ceramic bezel is fully graduated with lume-filled markings. And inside is the Ball RR1103-C automatic movement – which is a chronometer certified ETA 2824-2 – with a power reserve of 38 hours. 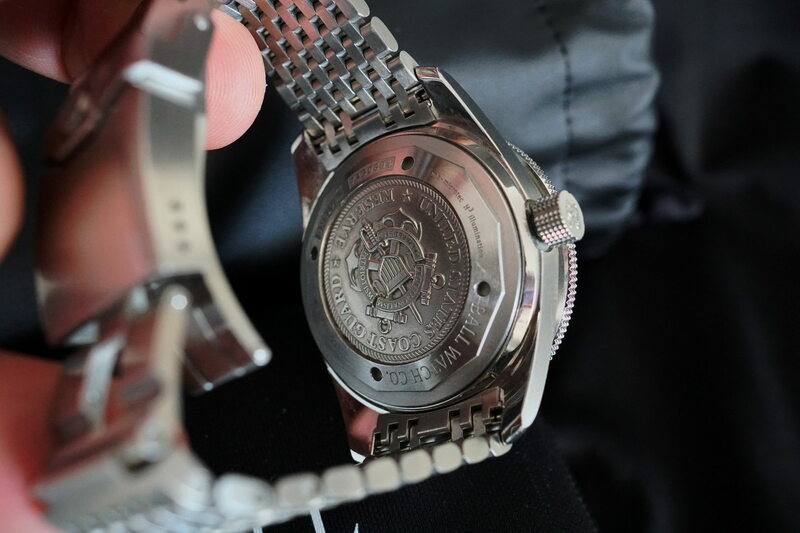 The case back features the U.S. Coast Guard Reserve’s emblem, and included with the Skindiver II is a black rubber strap and a multilink stainless-steel bracelet with a folding clasp and small diver’s extension. 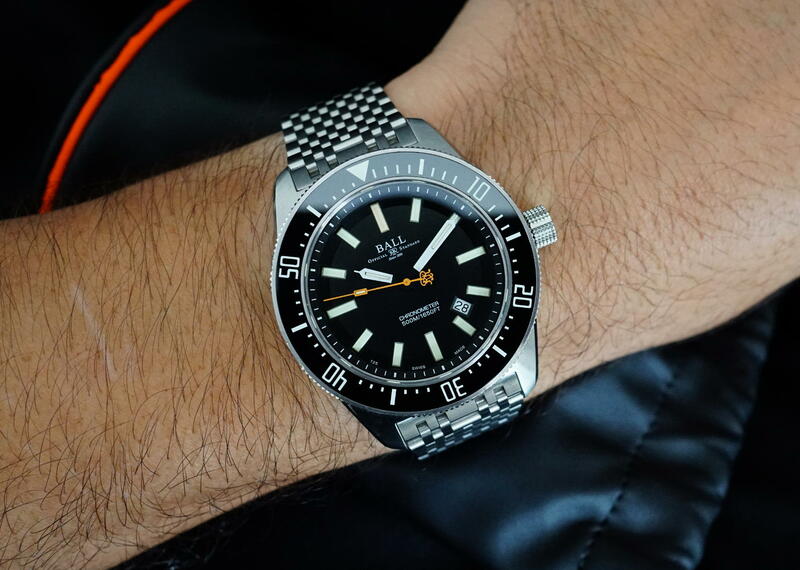 It’s easy to get caught up with all the new releases, but spending some time with the Skindiver II I was reminded of why I love dive watches. It’s their robustness, the ability to strap one on, and not worrying about it getting knocked around or wet. 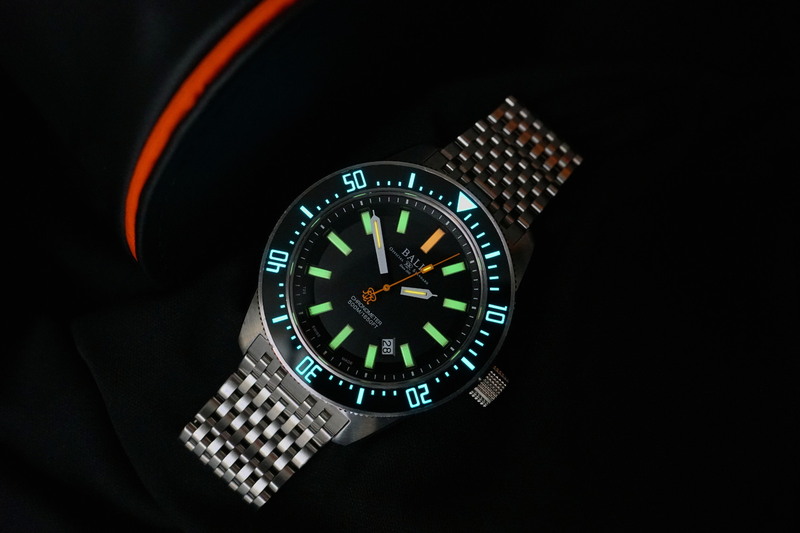 And the Skindiver II is every bit a tool diver. With just enough classical styling to be familiar yet unique, and more than enough technical innovations for a present-day wrist. This is for anyone who wants a dive watch with a vintage look, but not the usual problems that buying vintage brings. Something with a modern twist that means it won’t look like all the other dive watches out there. And that can more than compete when it’s time to get down to business. Honestly, the price. Under $4k for a more than capable dive watch, with a host of technical innovations that sets it apart from the pack. And one that looks good, even when the lights go out.